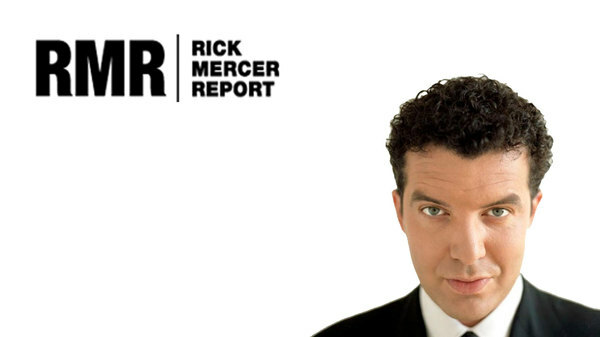 Rick Mercer, also known as “Canada’s Unofficial Opposition” and host of the top-rated, award-winning “The Mercer Report” on CBC television, recently delivered his Canada 150th keynote address in Lethbridge. “It’s not really a tour because I don’t book them all at once. It’s not a tour, but I’ll be moving it around the country,” Mercer explained, prior to his return to southern Alberta. The TV host, author, Canadian traveller and national icon offered an epic new keynote exploring the unique nation Canadians call home. Few people know Canada like Rick Mercer knows Canada. Whether prodding at its institutions, celebrating its unsung heroes, or illuminating everything wonderful and weird about the country, Mercer is a galvanizing speaker. He’s a fierce critic, a sharp mind, and a hilarious comic. It is a talk that connects to the past, evaluates Canada’s present, and looks forward into the future. “It’s a lot of story telling. The TV show and the fact I’ve travelled around the country to the extent I have, is the backbone of the night. It’s like a keynote address because it’s Canada 150. It’s kind of the State of the Nation, State of the Union,” he joked. Mercer said, similar to his show, he takes his keynote address pretty much everywhere. “I’ll go anywhere,” he said. According to Mercer, one of the things he looks for out on the road are similarities. “Canadian similarities. When you travel around the country because there’s so many divides. There’s east versus west, French versus English and rural versus urban and all of those things. I always like to drill down and try to find the common denominators,” Mercer explained. Mercer has featured many interesting people doing interesting things on his show, but a similarity between Canadians Mercer recently realized is the amount of Canadians, not only engaged in public service, but who wear a uniform to work. “All the police officers, the soldiers, the paramedics and cadets and it just goes on and on and on. I was thinking about that. How it was kind of staring me in the face the last 13 years and I didn’t really notice it. There’s always similarities and sometimes they don’t necessarily reach out and grab you until you reflect back,” he pointed out. With Canadians all set to celebrate Canada’s 150th, Mercer noted he hosted New Year’s Eve on Parliament Hill this year and the excitement, he believes, has a lot to do with Canada’s 150 years. “It’s been a long time since they’ve done New Year’s Eve on Parliament Hill and broadcast to the country and the numbers were huge. They were much bigger than anticipated. Normally, people have a pretty good idea of whose going to tune in for something like that. New Year’s Eve is kind of owned by Times Square and that’s just the way it’s always been, but there was a real interest in Parliament Hill on New Year’s Eve, and I think that has a lot to do with Canada 150, just the entire notion of it being a celebration. I think it’s something that is going to be everywhere,” he said. One cause Mercer is passionate about is the Spread the Net charity, which raises funds to stop the spread of malaria by providing mosquito nets for African children. Each season, the finale of “The Rick Mercer Report” is the Spread the Net Student Challenge. “It’s always the highlight of my year because there’s so many stories. The high school that raised the most money was in Fort McMurray. The students in Fort Mac — everything they’ve gone through — there’s so many things that need to be rebuilt and fixed and the fact the students themselves chose Spread the Net as a cause to support and do it to the extent they did and raised the most money of any high school, that’s a tremendous story. I was in Hamilton, ON at an elementary school and there’s these kids that a year ago were Syrian refugees, they were a big part of raising money for Spread the Net. There’s just tremendous stories every time I turned around,” he said. Mercer added these are stories that should make Canadians feel really good about the future. “We could use a little bit of that now,” he added.